From our headquarters in Menasha to our office in Brookfield, we work to meet the needs of our members throughout Wisconsin. 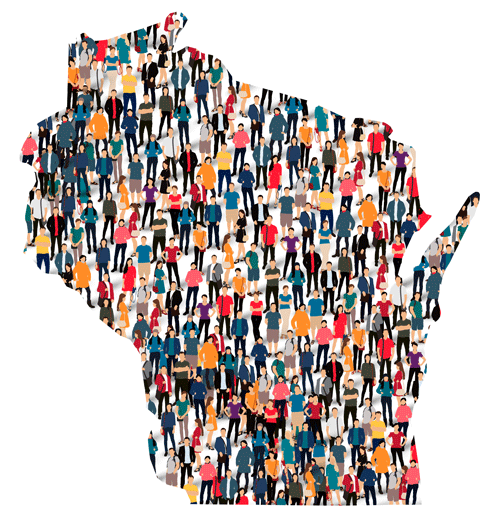 Being local allows us to focus on our mission to create healthy and strong Wisconsin communities. At Network Health, we care about making our home a better place to live. We reinvest in our community by volunteering, sponsoring and hosting events and donating to local charities. If you're looking for the largest, most widespread health plan in the country, that's not us. If you're looking for informed people you can reach in person, or on the phone, who answer questions directly—that's us. We take a different approach to health insurance and provide personalized service and treat you with courtesy and respect. Network Health is locally owned by Froedtert Health and Ministry Health Care, a part of Ascension Wisconsin. We collaborate with our provider-owners to give our members access to high-quality, coordinated care. When you call Network Health, we don’t bombard you with health insurance language. We talk like people, not insurance dictionaries. We know health insurance can be overwhelming, but this is what we do. Let us help, we’ll keep it simple. Our commitment to quality isn’t about our awards, excellent quality ratings or accreditations. Yes, we continue to exceed the industry's highest standards, but at Network Health we put the spotlight on you. Our quality department focuses on improving the health care services you receive every day and ensuring your experience with Network Health exceeds your expectations. Network Health’s Medicare Advantage PPO product holds the second highest possible accreditation status from the National Committee of Quality and Assurance (NCQA). This prestigious status reflects the hard work we put into designing our plans and caring for our members. Network Health evaluates the quality of care and services provided to members using two nationally-recognized tools, the Healthcare Effectiveness and Data Information Set (HEDIS®) and the Consumer Assessment of Healthcare Providers and Systems (CAHPS®). See How We Rate. Network Health provides guidance to all of our members with multiple or complex conditions to ensure they obtain access to necessary services and helps to coordinate their care. This includes individuals who are low income, dual-eligible, covered by Medicare or Medicaid, have physical or developmental disabilities, chronic conditions or severe mental illness. Every year, Network Health assesses the demographics of its members including age, gender, ethnicity, social and environmental factors, living conditions and potential health disparities to identify and address their cultural, racial and language needs. This insight supports us in implementing and adjusting processes and resources, clinical and service programs, communications and member materials based on the specific needs of our members. At Network Health we believe in healthy living, not just helping you when you are sick. As a member you’ll have access to programs that help you improve or maintain your health and manage health conditions. Best of all, these programs are provided at no additional cost to you. Review our Wellness Programs. *Based on the percentage of Network Health Medicare Advantage (PPO) members who stayed in the plan for 2018, for coverage starting January 2018. **See our Star Rating Information for Network Health Medicare Advantage Plans and NetworkPrime (MSA). (Medicare evaluates plans based on a Five-Star rating system. Star Ratings are calculated each year and may change from one year to the next).